What’s goin on guys, Jerry Neutron here back with another video and today we’re gonna take a look at a mouse that I got in for review from Corsair, this is the M65 Pro RGB. 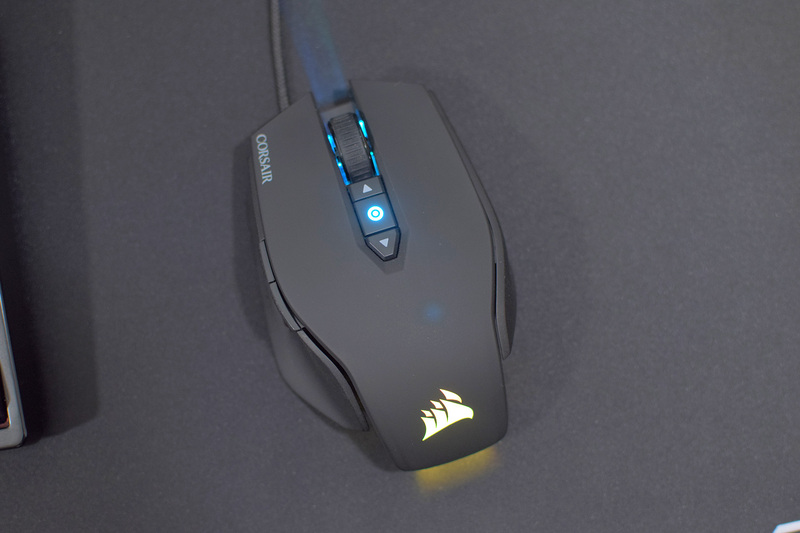 Now this isn’t a new design from Corsair, the M65 has been around for a while, it’s gone through a couple revisions but the Pro RGB model has a new sensor in it as well as RGB lighting so let’s go ahead and take a look at it. The shape of this mouse is very wide at the base and it can take a little bit to adjust if you’re used to using more traditional shapes like the Rival 700 or DeathAdder but it’s not too bad overall, it didn’t cause any hand pains or anything like that. 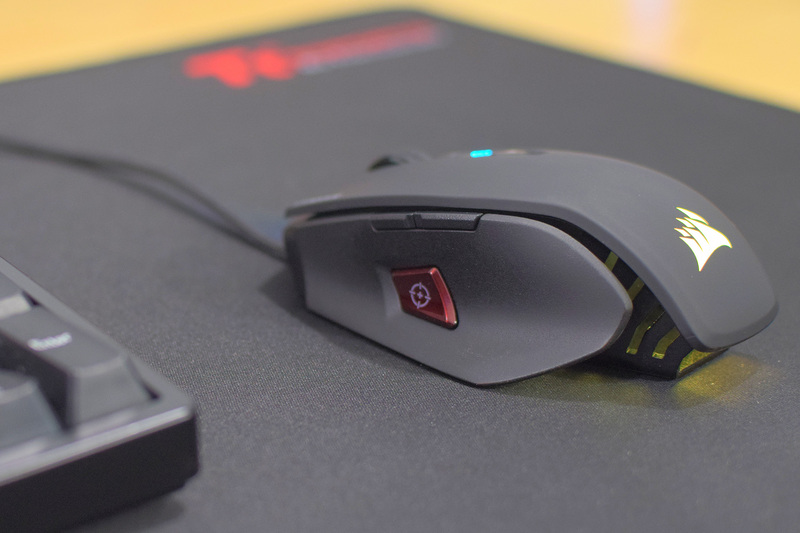 It’s also a flat and short mouse, it doesn’t have a tall hump on the back like a lot of palm grip mice so it’s best suited for gamers using a claw grip or a fingertip grip. The M65 is a little bit on the heavy side, it has a tuneable weight system but even with all of the weights removed it still comes in at 115g. Ideally I’d like to see this mouse weighing in at 90-100g weight free but that would likely mean ditching the the aluminum base plate which I’m not sure how that’d affect the overall build quality. Speaking of build quality, the mouse feels well built and solid in the hand but the finish of the rubber coating on top is not great. In certain areas of the mouse the coating feels textured and spotted, almost like the finish was sprayed on when the can was almost empty so that’s a little bit disappointing. On the mouse there’s 8 buttons total, you get these slim side buttons, a sniper button which gives you on-the-fly DPI adjustment – something that I personally never used, up and down arrows that allow you to change your mouse sensitivity with a DPI indicator in the middle, a rubberized scroll wheel and these left & right click buttons which use Omron switches rated at 20 million clicks. Now the best feature of the M65 Pro RGB is undoubtedly the sensor which is using the PMW3360. This is generally considered to be the best sensor on the market and is quickly becoming my personal favorite because in terms of general feel the mouse tracking just seems more fluid than others and the mouse goes exactly where I want it to. It could be placebo but to me it feels just a hair more accurate than the 3310 which is definitely not a bad thing. I also don’t have anything negative to report in regards to acceleration, jitter or prediction. 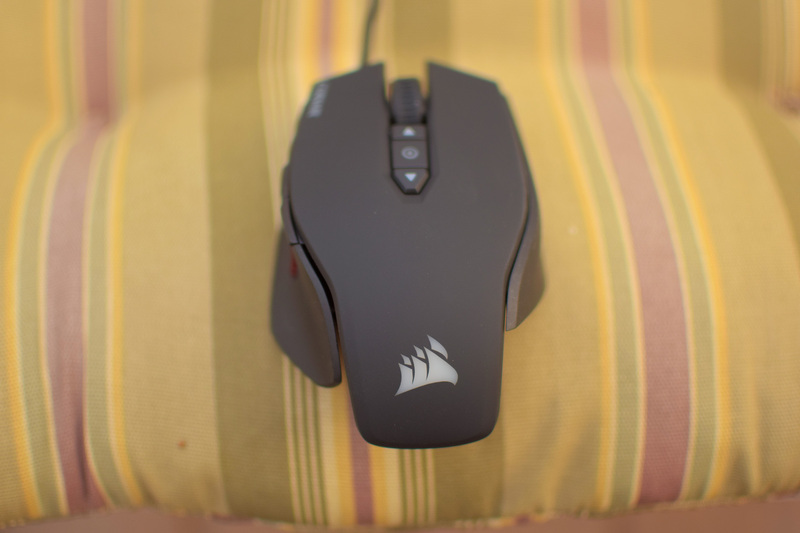 For further customization, #Corsair provides their CUE software which allows you to make several changes to the mouse. It’s recently had a major overhaul which makes it much more intuitive and easy to use. The previous version definitely had a UI that was designed by programmers but this version is a giant step in the right direction. You can do several things within the software like setup multiple profiles, create macros or re-assign buttons under the Actions tab, customize the RGB lighting on the mouse, there are two zones that you can set separately allowing you to have a different lighting effect for the rear logo and scroll wheel. By the way this Lighting Link option allows you to sync lighting effects with your other Corsair peripherals so for example, if I had a K70 RGB keyboard and I went in here and selected the Rain effect they both would synchronize with each other and display the same effect which I think is pretty cool. 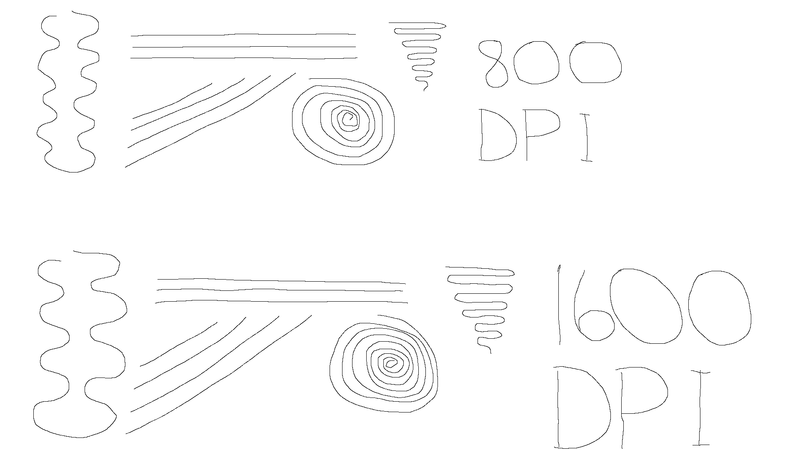 Under the DPI tab is where you can configure up to 5 DPI levels along with the Sniper button, you can set the levels from anywhere between 100 to 12 thousand DPI so for all of you gamers with 8K displays, Corsair has you covered. You also have the option of configuring your lift off distance and performing a surface calibration. So all in all the software is pretty easy to use now and much improved. So with all of that said, here’s what I think about the M65 Pro RGB. It’s a solid mouse for claw grippers but a bit on the heavy side, build quality feels great aside from the poorly applied rubber coating and the sensor is awesome plus the newly updated CUE software is much easier to use. I think a lot of people will enjoy this #mouse but personally I prefer a lighter mouse with an ambidextrous shape and a more uniform rubber coating so my search for a 3360 daily driver will not end here. So that’s about it guys, let me know what you think down in the comments below! And post what mouse you’re currently using, I’m curious as to what mice you guys use on a daily basis. But yeah, links to stuff will be in the description, don’t forget to like and subscribe if you enjoyed this type of content and until next time…see ya!